I absolutely love Old Navy- in fact, me and my best friend shop there all the time (and don’t get me started on their black Friday holiday sales). 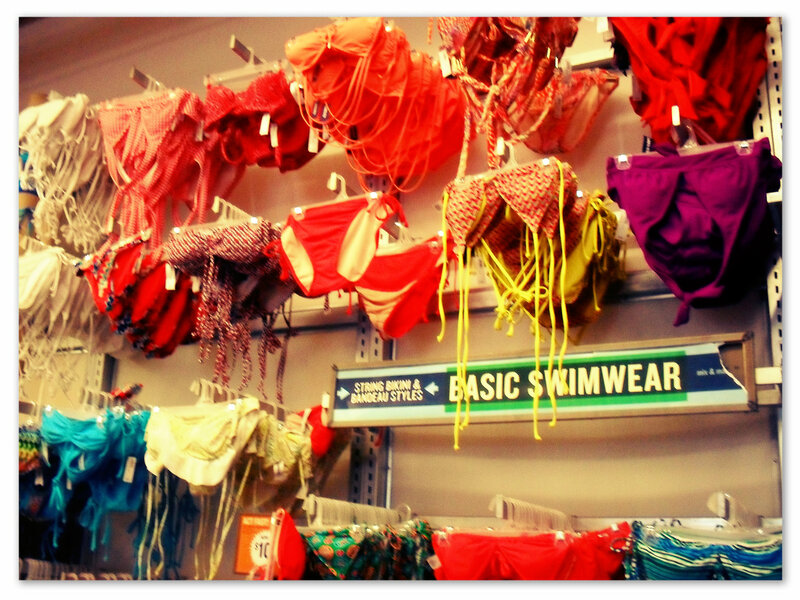 The selection, prices, and clothes are always the best (and most colorful). And my sister only buys her jeans from Old Navy. 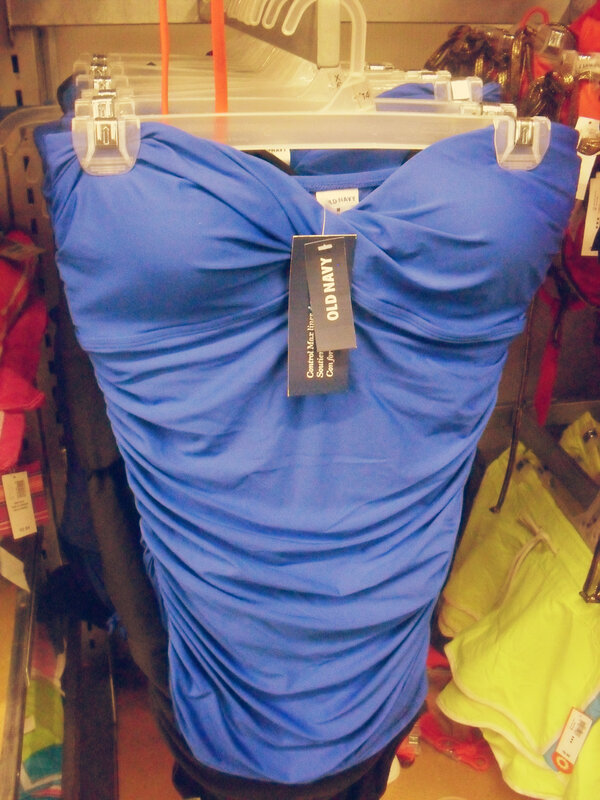 So I knew that if I was looking for a cute, quality swimsuit then the best place to go would be Old Navy. I love their swimwear- look how colorful it is!!! Personally, I’m not a bikini sort of girl, although I could certainly go for some of these colors and patterns- these are all priced amazingly by the way! Luckily for me Old Navy offers some seriously fashionable tankini’s- my favorite was this blue striped one, it’s so perfect for summer! The great thing about Old Navy is that so many of the pieces they carry are super versatile- like this one. You can see me holding up a really cute ruched fold over jersey skirt (priced at $15!) next to the tankini- don’t these look so cute together?! And don’t you just love this one piece- it looks really retro, and the ruched fabric is really forgiving of any imperfections- which is an impressive (and desirable) feature for any swimsuit. So I ended up buying this tankini, a cute summer bag, flip flops, and part of my fathers day present- sorry no pictures of that- it’s a surprise!!! I usually hit the beach every summer with my family, but this year we’re changing things up and planning on hitting a water park- which I’m so excited about! I’ve only been on a couple of water rides at a few theme parks and never to anything that required a swimsuit, so I’m super excited to get completely soaked and look fashionable too! A lot of the suits I’ve owned up until now have been pretty bland, and mostly black, so I’m happy Old Navy helped me throw some color into the mix! Follow Old Navy on twitter, facebook, or shop online here! Next Post Iron Chef Our Way: Strawberries?